How Far is Rads Green Garden? Rads Green Garden is a residential development by Rads Infrastructure. The project offers spacious and skillfully designed villas and various odd dimensional plots. The project is well connected by various modes of transportation. The site is in close proximity to various civic utilities.It has been legally approved by CMDA. 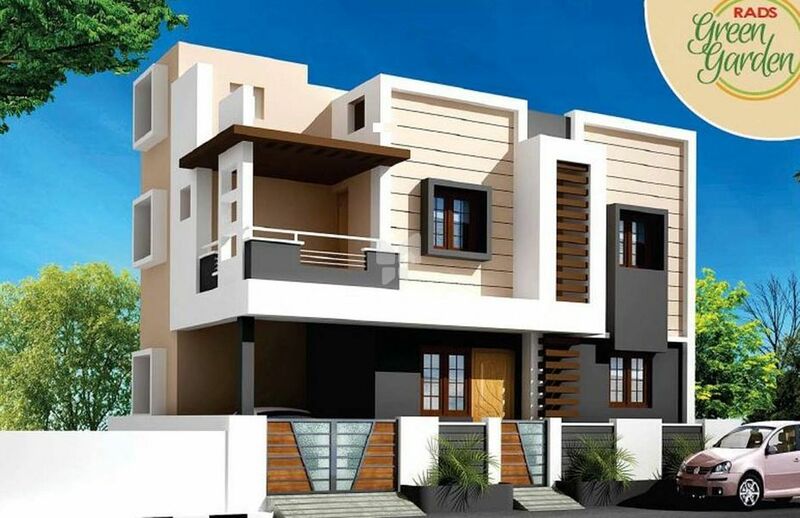 Rads Infra is one of the fastest growing property developer in South Chennai. Since 2008 we have successfully completed one lakh sq.ft. living spaces in Chennai. Each and every customer is our ambassador spreading the quality and value of RADS. You will be convinced that RADS stand apart in quality, aesthetics, perfection, timeliness, strict adherence to laws, value for money and above all giving you total joy and peace. We take every care to build your dream homes. Our quality perception is above everything. Excellence in every sphere of construction is our motto. From basement to finishing we adhere to the best standards. Our past achievements speak for our future performance.